I rarely listen to music when I’m writing. It’s always interesting to me to read other artist’s “playlists” that they work to. But I can’t imagine creating words while listening to the words of others. Until today. Today I’m trying to write a reflection on what happened to me one year ago. And everything that followed. And so I’m listening to a few special songs, including “Long Time Girl Gone By” sung by Emmylou Harris and written by Rodney Crowell. 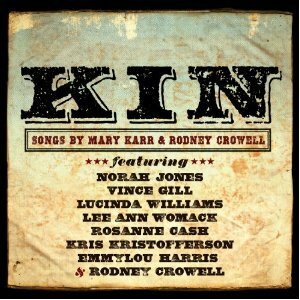 It’s on the wonderful album, “Kin,” which was a collaboration between Crowell and fellow Texan, the memoirist and poet, Mary Karr. Another favorite on the CD is “God I’m Missing You,” sung by Lucinda Williams. 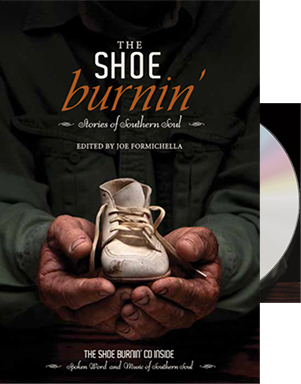 On July 7, 2013, I was down at Waterhole Branch, just outside Fairhope, Alabama, for a video shoot to promote a new anthology, The Shoe Burnin’: Stories of Southern Soul, which was coming out that fall. I was so excited because my essay, “Eat, Drink, Repeat,” was included in that fabulous collection of stories and music by some incredibly talented writers and musicians. (There’s a terrific CD that comes with the book.) The shoot was to begin the next day. We all gathered at Joe Formichella (Shoe Burnin’ editor) and Suzanne Hudson’s home the night before to share a meal and our excitement about the project. At the end of the evening I left to drive back to my hotel. 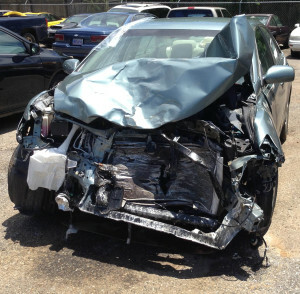 In the darkness on a country road I crossed into the wrong lane and was hit head-on by an ambulance which was going about 65 miles per hour. I don’t like to think about the accident. Nausea and flashbacks accompany the memory. A friend has asked me if I’m going to write about it. This is all I’m going to say. 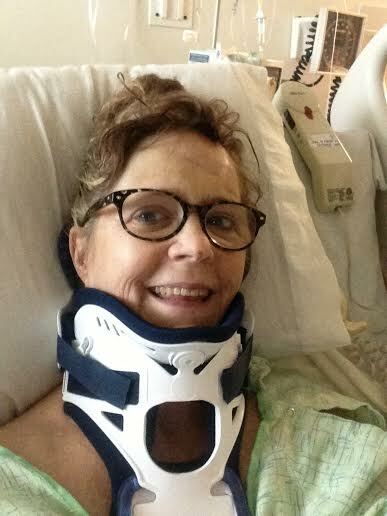 I spent three days at Sacred Heart Trauma Center in Pensacola, Florida, where the surgeons repaired my broken neck, right leg and ankle. Everyone at the hospital treated me wonderfully. Back in Memphis, friends had fitted out my downstairs office with a hospital bed and everything I would need to recover there. In the coming months, they fed me, sat with me, drove me where I needed to go, and ran errands for me. My sweet husband was amazing. 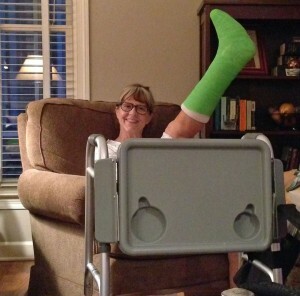 A second surgery on my leg came a couple of weeks later. 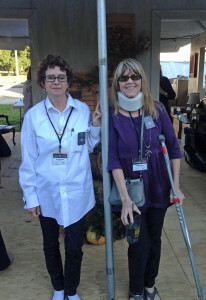 I progressed from bed to wheel chair to walker to crutches. 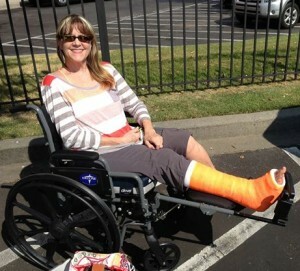 From casts to “black boot” to physical therapy. From hard neck brace to soft neck brace to more physical therapy. In spite of all the terrific support I received, I faced what seemed like endless days of loneliness and depression. Just as I was beginning to get on my feet, my husband fell on some black ice (in December) and tore his rotater cuff. His surgery was in February, and he is still in physical therapy almost six months later. In the midst of all of this the lease was up on our house and we had to move. We were blessed to find a wonderful house here in Harbor Town with a DOWNSTAIRS master bedroom, and movers who would pack, move and unpack for us. We love it here. Folks are always asking how I am now. Honestly, most every day I have pain in my ankle, leg, hip or neck. Usually it’s a 3-4. Sometimes it’s a 5-6. I will never regain full range of motion in my neck, which always feels stiff. 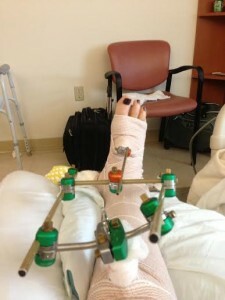 The hardware in my ankle aggravates my arthritis, so there’s that. I’ve gained back the weight I lost after the wreck so I’m feeling fat and frustrated and tired. And yet. It was also a year of amazing grace. 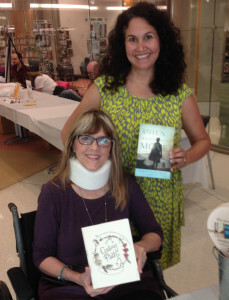 In October I participated in the Memphis Library’s local author event, “Bookstock.“ A year in which I was able to travel in November to the launch of The Shoe Burnin’ at the Louisiana Book Festival and on to Fairhope to speak at the Penster’s Writing Group. In December I was able to fly to Denver for Christmas with my children and grandchildren. In May I was able to be with all those kids again for a glorious week at Seagrove Beach, Florida, fly to New York City with my husband, and drive to Jackson, Mississippi, for a wedding and then to Oxford, Mississippi, for a writing workshop. In June we flew to Charleston for a medical event. And I am able to make trips to Jackson to visit my mother, who continues her journey with Alzheimer’s while living at Lakeland Nursing Home. Work on revisions to my novel has been slow, due to all of the busy activities, as well as my recovery. The injuries to my body have sucked away my energy level at times, and also slowed my brain processes. But I’m gradually getting back to work. 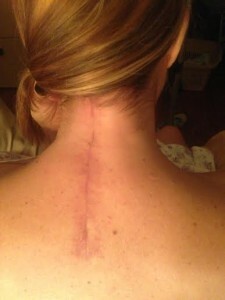 Every day I thank God that I am not paralyzed, and that I am alive. It’s all grace. Here are the lyrics from “Long Time Girl Gone By,” and a few more photos from the early days, weeks, and months of this year so full of grace.